WKU Libraries’ Far Away Places series featured Dr. Diane King, Associate Professor of Anthropology at the University of Kentucky. 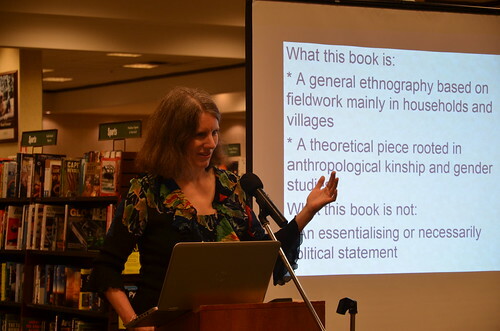 Dr. King spoke on her recent book Kurdistan on the Global State: Kinship, Land and Community in Iraq, published in 2014 by Rutgers University Press. The book explores how people in Kurdistan connect socially through patron-client relationships, patrilineage and citizenship. King offers a sensitive interpretation of the challenges occurring between tradition and modernity in a land where honor killings and female genital mutilation coexist with mobile phones and increasing education of women. The next speaker in this spring’s Far Away Places series is Diane King, Associate Professor of Anthropology at the University of Kentucky. King earned her BA from Westmont College in Montecito, CA in 1988 followed by an MA from San Diego State University in 1992 and a PhD in Anthropology from Washington State University in 2000. King has taught at UK since 2007 and was a fellow at the Center for Historical Research at Ohio State University in 2013-14. Her research interests in kinship, gender, the state, migration, and religion. As one of the few anthropologists doing participant observation research in Kurdistan, King has been conducting field research in the Kurdistan region of Iraq continuously since 1995 under the Saddam Hussein regime, and most recently this past winter. She published her first book Middle Eastern Belongings in 2010 which explores both possessions and the social aspects of belonging to groups in the Middle East. King will speak on her recent book Kurdistan on the Global State: Kinship, Land and Community in Iraq, published in 2014 by Rutgers University Press. She writes about the Kurdistan Region of Iraq, one area of a larger ethnic homeland of the Kurds that has been part of a federal Iraqi government since the U.S. and allied overthrow of Hussein’s Bathist government in 2003. Her book focuses on household life in Iraqi Kurdistan’s towns and villages and the current situation on the ground in contemporary Iraq. 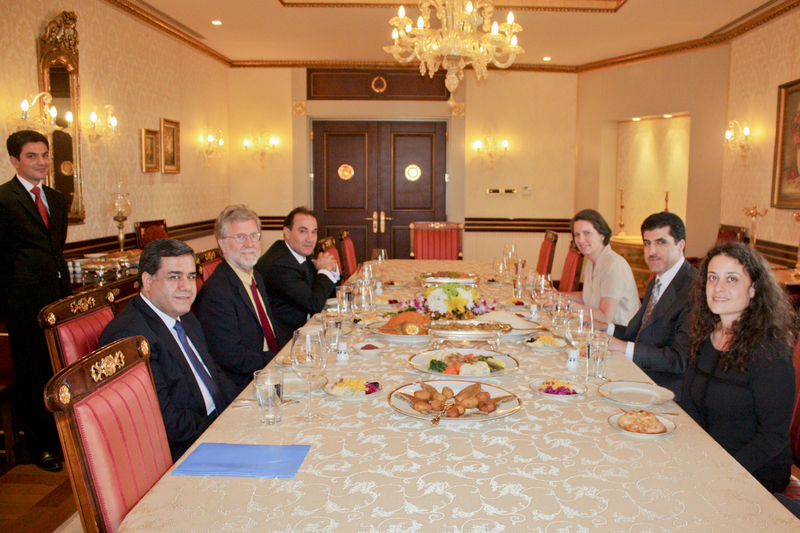 Kurdistan on the Global Stage explores how people in Kurdistan connect socially through patron-client relationships, patrilineage and citizenship. King offers a sensitive interpretation of the challenges occurring between tradition and modernity in a land where honor killings and female genital mutilation coexist with mobile phones and increasing education of women. 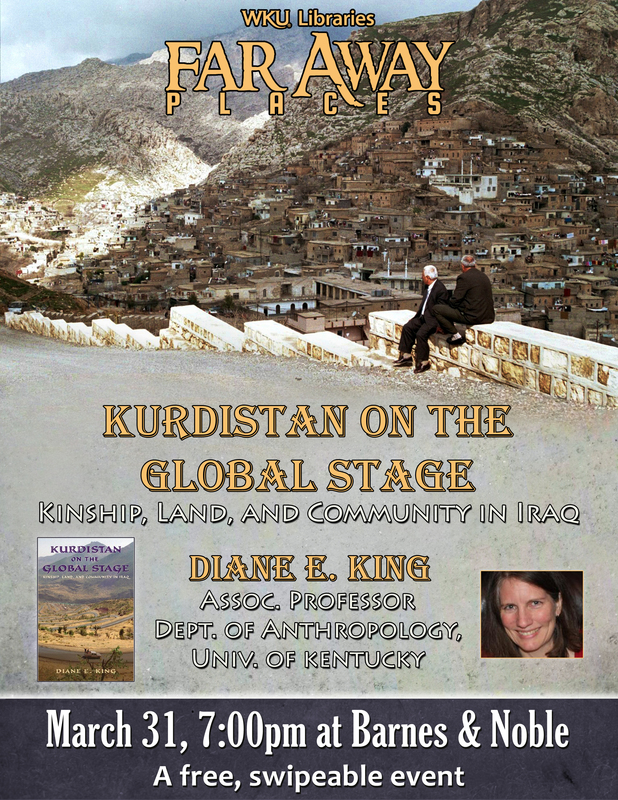 Come hear Diane King talk about Kurdistan on the Global Stage: Kinship, Land, and Community in Iraq on Thursday, March 31 at 7 p.m. at Barnes & Noble. The event is free and open to the public as well as ‘swipeable’ for WKU students. Door prizes will follow and King will be signing copies of her book after the presentation. We hope you’ll join us!